Hello everyone, Lori here with you today sharing one of my latest creations. I’m generally not the world’s largest fan of masculine cards. I find them a challenge to do, but this one came together so well it’s honestly one of my current favorites. 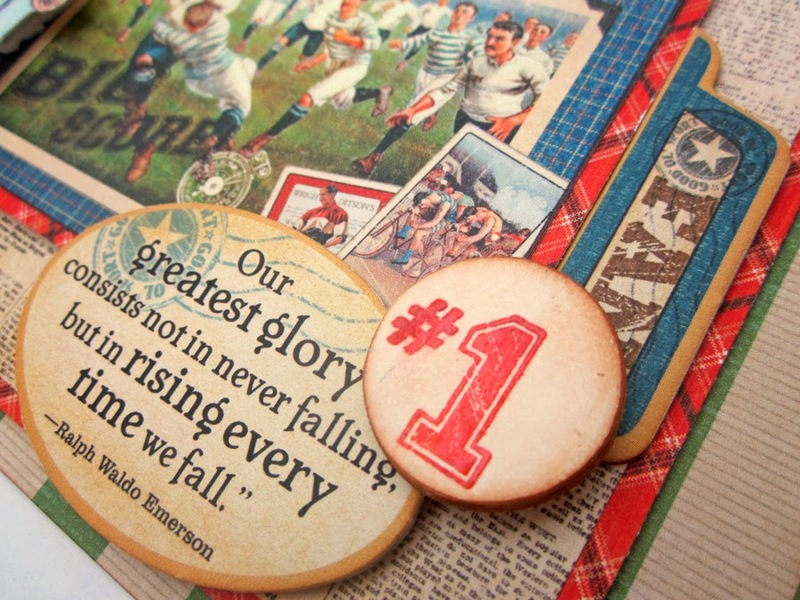 I started off stamping three of the footballs on card stock and then fussy cutting them. Next I stamped the man and little boy with brown momento ink and colored them in with copic markers and then fussy cut. 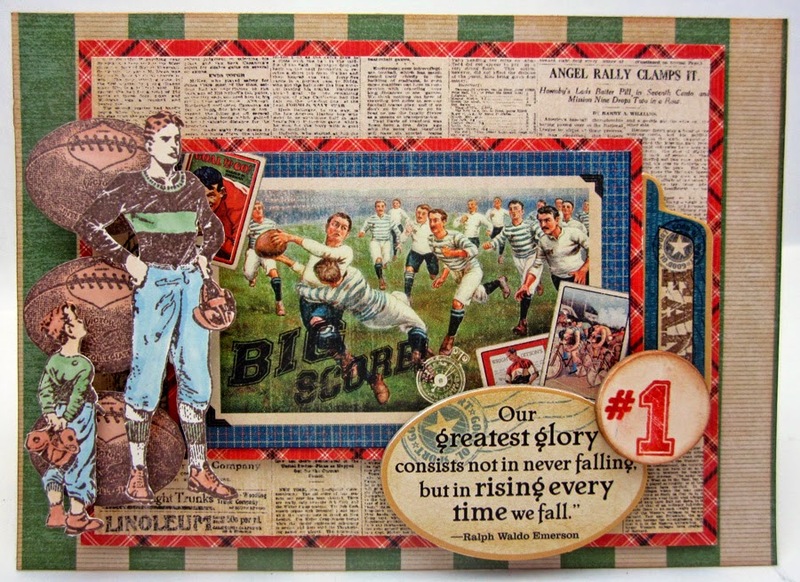 The papers are from the Graphic 45 Good Ol’ Sport collection so I cut one of the pictures out and layered it on some of the patterned paper, layering with foam tape. 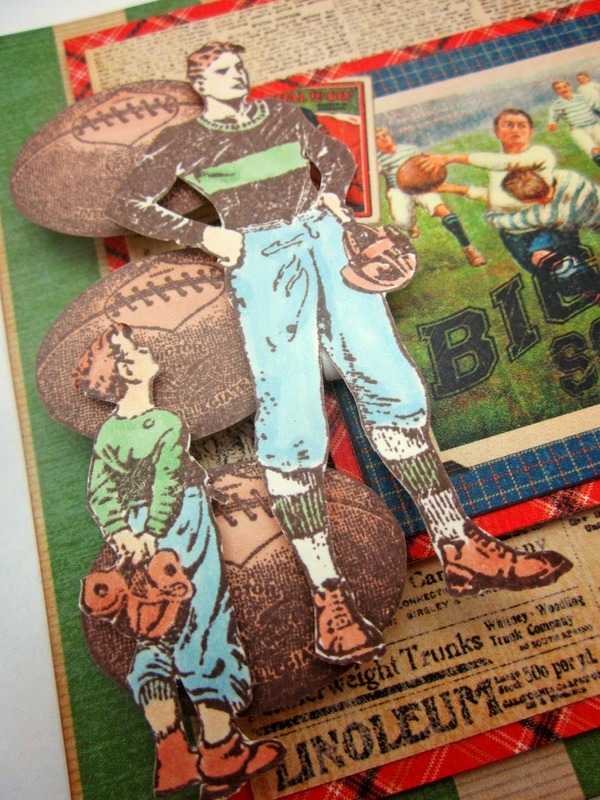 The footballs were added to the edge with foam tape and the man and little boy were layered on top of the footballs. The sentiment (which is so awesome) was inked around the edges with distress ink and glue down to the bottom right as shown. I then used the #1 Fan stamp , but half in half. The Fan portion was inked with brown ink and stamped on the chipboard tag. Then the #1 was stamped on card stock with red ink with clear embossing powder over the top and heat set. I then layered it on a chipboard circle and sanded to make it round. I then ink distressed the edge and foam taped it between the tab and the sentiment to finish off the card. Do you know someone that would love to have a card like this for Father’s Day or just because. Check out the supply list below to see everything you need to create a similar card. Good morning! I’ve got a playful card to share with you today. I needed a card that wasn’t too girly (anybody else have a friend who despises pink??!) and the “Playlist” line from KI Memories was perfect for this! I love the bright colors in this line! Yes, there is some pink in it but there are lots of other fun colors also. I used the “Playlist” patterned paper as the background for the card and then embellished the card with lots of die cuts and glitter dots. Thanks for looking! Hi, Deborah the Newbie welcoming you back to the Hampton Art blog! Today’s card is for anybody who falls in love with patterned paper but isn’t sure what to do with the extra “add-on” goodies. (You know, that sheet with all the punch out objects and such?) 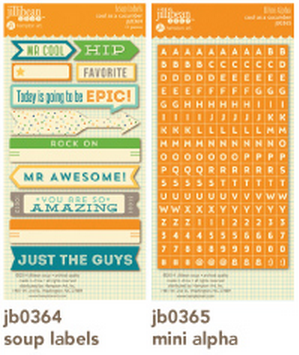 Or how about those fabulous sheets of journaling blocks? 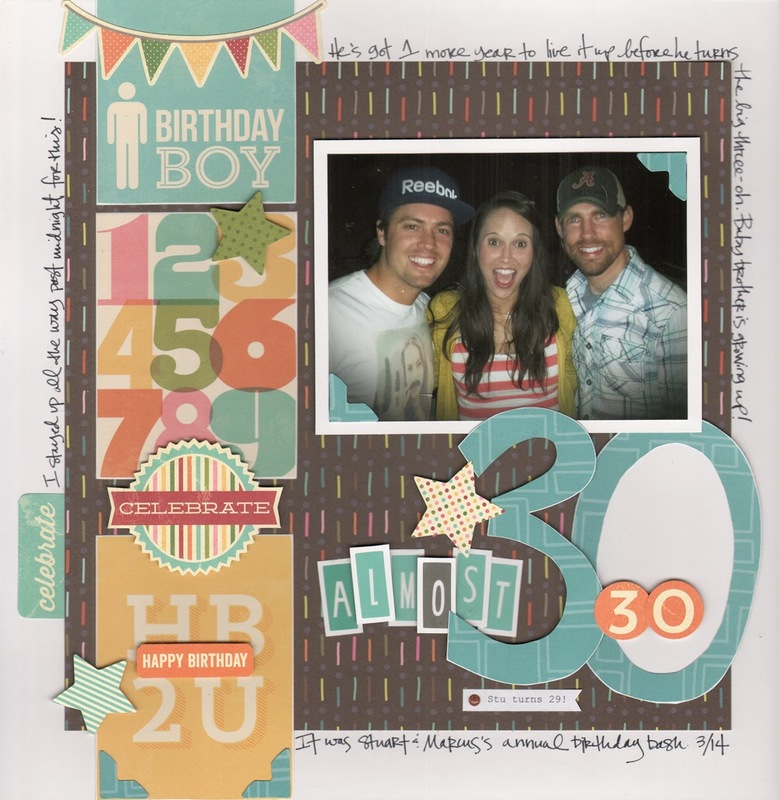 They’re not just for scrapbooking anymore! Here’s a card for travelers - graduates, missionaries, folks who are relocating to a distant place for school or a job. I like the idea of surprising somebody with travel tickets in this “modest” card - bet they wouldn’t see that one coming! 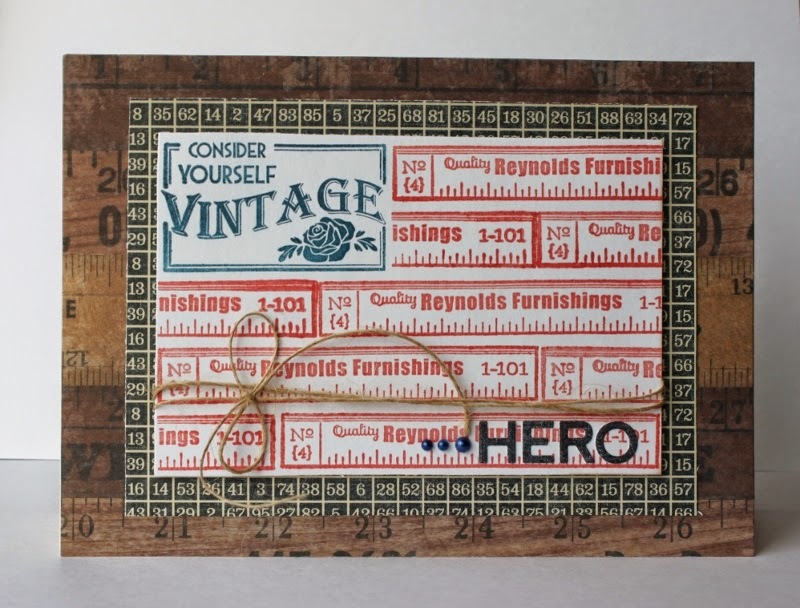 This card can also work with gift certificates to a bookstore for the armchair traveller (just stamp “Read a Book!” with alphabet stamps on the inside of the card). 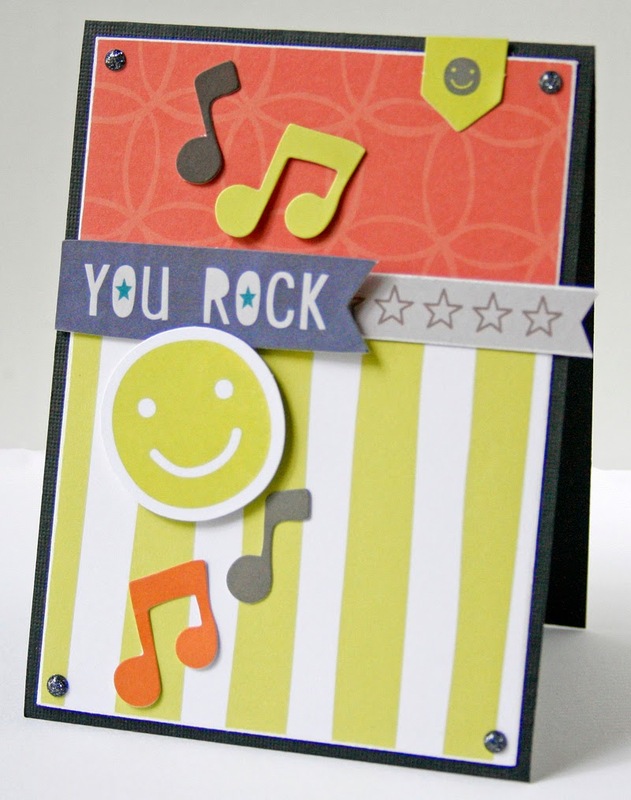 Cut 4” x 5.25” panel from striped patterned paper and adhere to card front. Cut out “See the World” journaling card, mount on red cardstock scrap, and adhere to patterned paper panel. Punch out airplane die and adhere to bottom of journaling card. (Adhere with foam dimensional tape if you want a little extra lift – no pun intended. Optional: Stamp a sentiment on the inside of the card. Thanks for visiting the Hampton Art blog! 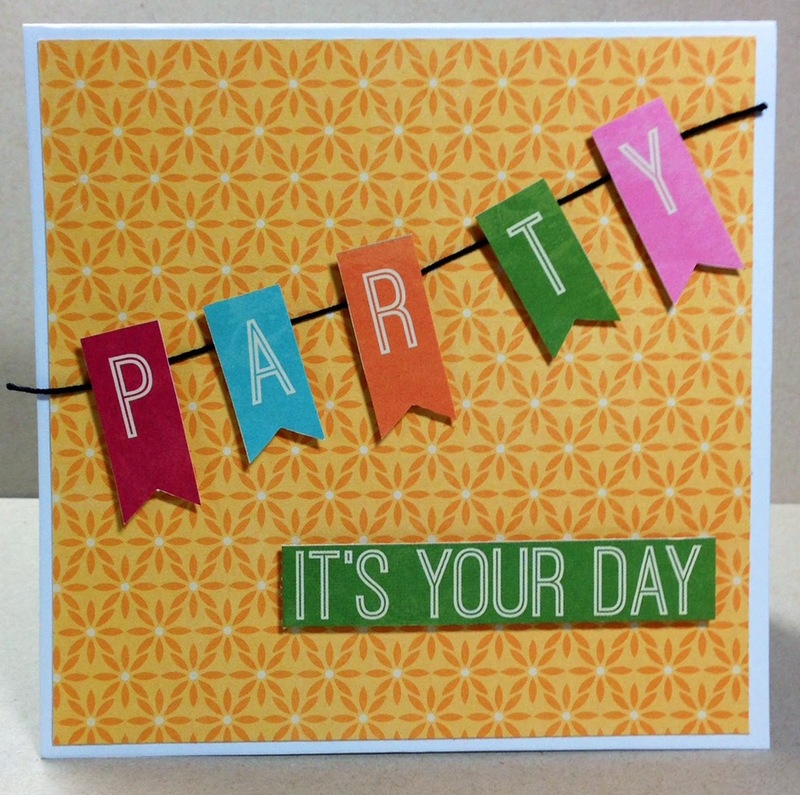 Today I have two quick cards using the Ki / Hampton Art Berry Blast Sticker Flip Pack. I used some foam tape to pop up the greetings. I also distressed the edges for a fun worn look. 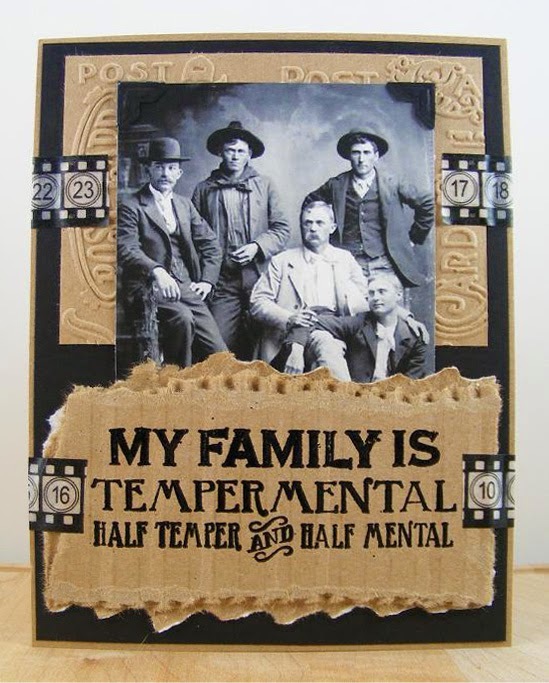 Hello and welcome to the Hampton Art blog... it's Melinda with you today and I have a fun little card to share using the Hampton Art / Spellbinders 'Shapeabilities'. 1. I cut my top piece of cardstock to measure 3.25" x 5.25" and then randomly cut the little flower shapes using the flower die and my Big Shot. 2. I then cut four 1.5" squares in each of the Jillibean Soup Staple II colors (excluding pink) and attached to the back of each flower. For the pink flower I used a full sheet of pink cardstock measuring 3.5" and attached to the back of the top piece using foam pop dots to give dimension to the flowers. 3. I then continued to cut sheets of cardstock for the remaining four colors making each sheet 3mm wider than the previous sheet and layered them using double sided tape. 4. I cut and folded the card which measured 4.25" x 5.5" and then adhered to the back of the layered piece, again using double sided tape. 5. Now for the fun part... the decorating. 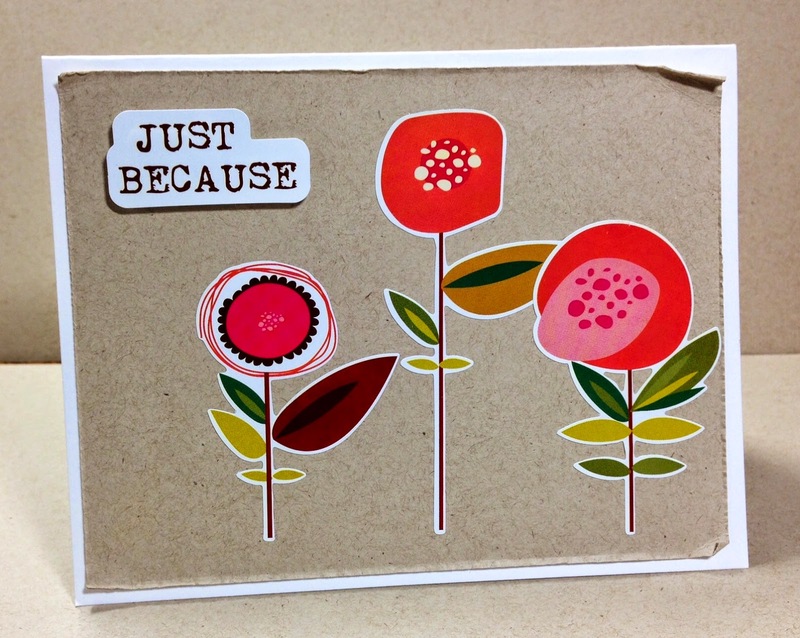 I added a color co-ordinated epoxy dot to each flower and added a banner with my sentiment stamped across the front. So excited to share the first project I made with the brand new Jillibean Soup “Cool as a Cucumber” collection and two new Hampton Art/Jillibean Soup Stamp & Stencil sets! It is the time of year when we need lots of Graduation cards, so that was the idea behind this card. The new kraft mini envelopes made the perfect gift card or cash holder. The base was cut from Gray Salt paper and covered with a border strip of Chic Kale and a base mat of Trendy Tomatoes. 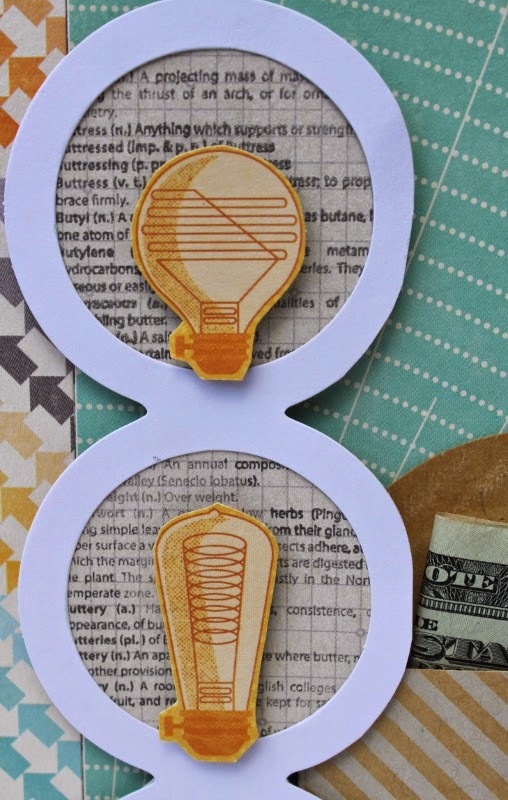 Then I grabbed the White Simple Circles placemat and trimmed out three circles to frame three fussy cut light bulbs from the new Swell Soy paper. Next I pulled out the fun Butterfly Dictionary Stamp & Stencil set and stamped the text in charcoal ink onto the back side of the Birthday Bisque Bite Size bits paper. I used it as a backer behind the placemat circles and then added the fussy cut light bulbs with foam dots. Finally I trimmed out a piece of the stamped text paper for my sentiment arrow and stamped in charcoal ink the “congrats” sentiment from the new Stamp and Stencil/Sentiments set. I mounted it onto a piece of the Swell Soy paper and adhered it with double foam dots. Last I added three new Enamel Stars in yellow for a touch of bling. 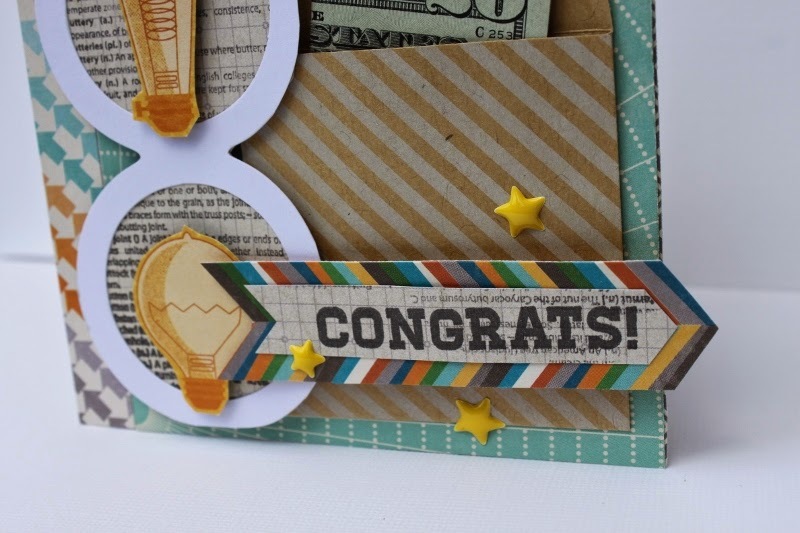 That was it, a fun versatile Congratulations card with a color palette that would work for a boy or a girl. 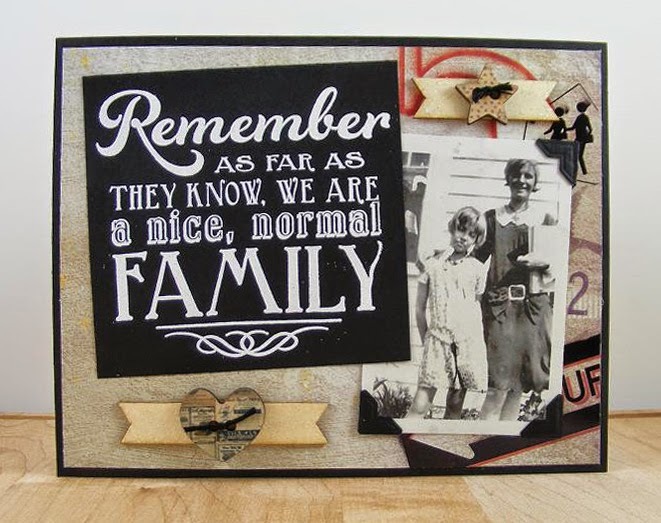 Hello all, it’s Lori here with you today sharing a card I created that’s a bit of a twist. A twist? 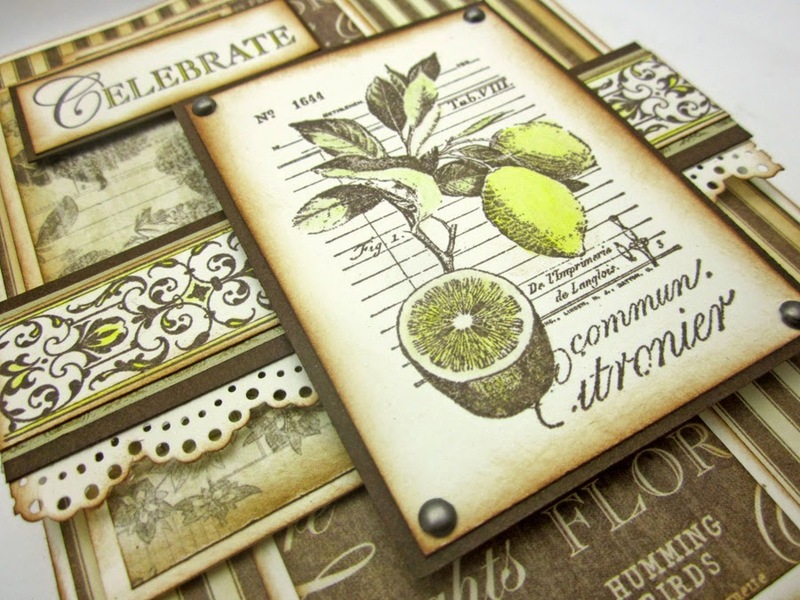 Yep, I used the Graphic 45 Botanical Tea paper and stamp set, yet it’s a tone on tone. The Botanical Tea Collection is one that is full of pinks, blues and greens so you can see why I say this card is a twist. I like to add lots of layers and dimensions to my card with foam tape. I may have stacks of foam tape four times high on some of my cards. I also ink many of my edges on card which gives another layer. This card was fairly easy. It’s a 5” x 7” card. The patterned paper has all been layered onto cream card stock and all the edges inked. I stamped the border stamp three times and then colored in with a yellow watercolor pencil for a little extra highlight. 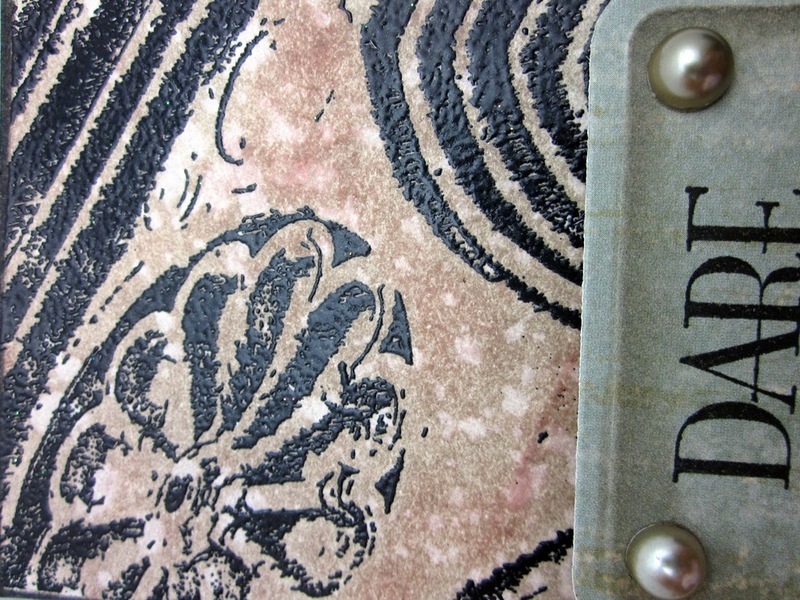 Across the edge of the border is a decorative punch ink and glued to the back of the border stamp. 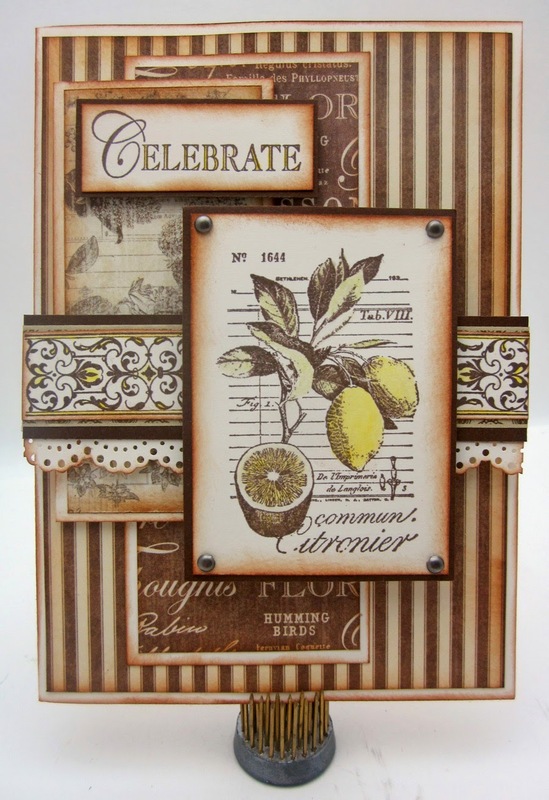 The lemon stamp was stamped using momento brown ink and then I colored in the lemon with the yellow watercolor pencil. I finished it all off with four little metal brads in the corners of the stamped image and set with more foam tape. I really love the vintage look of the finished card. If you would like to give one of this a whirl for yourself, please see the supply list below. Hi there! 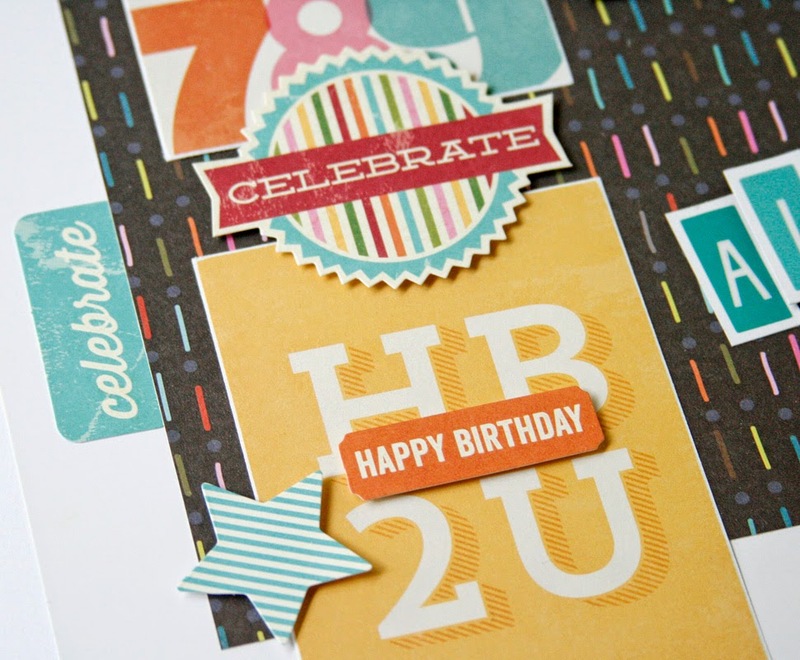 I’ve got a fun birthday layout to share today using the “Birthday Bisque” line from Jillibean Soup and the “Playlist” line from KI Memories. I cut up the sheet of journaling cards in the “Birthday Bisque” patterned paper and added some die cuts & stickers from the same line to create the border on the left side of the layout. To create the “almost” in the title I adhered the vellum alphabet stickers from the “Playlist” line to white cardstock first and then cut them out with a white border around the edges. I like the look of the white border, but also the white cardstock helps to make the alphas stand out against the background paper. I've always loved any type of architectural detail, so I was thrilled to see the new photo-based stamps from Hampton Art/ Art Etc. 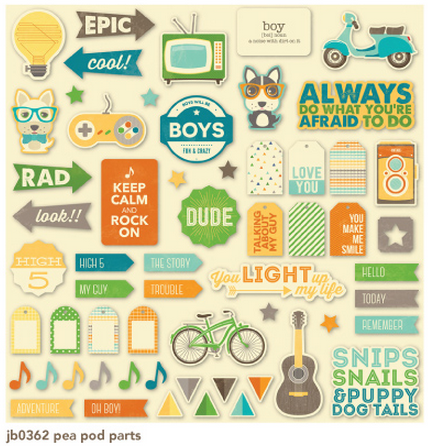 So many of these images capture these great designs, and are just waiting to be used on your stamping projects. I wanted this stamp to be the star of the show, so I kept this pretty simple. 1. Start with a 5 x7" card base. Cut the patterned papers as shown and adhere to base. 2. 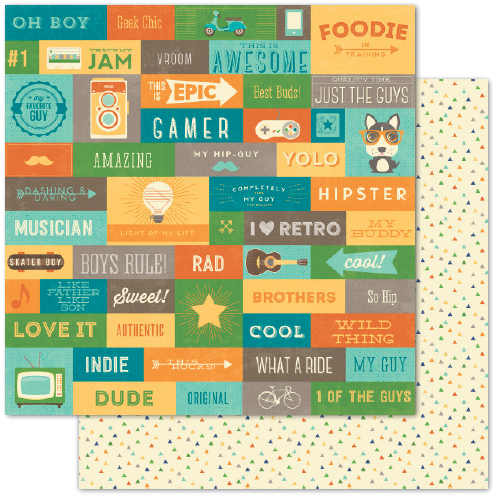 Stamp the image with watermark ink onto ivory cardstock. Heat emboss with black powder. 3. Ink over the image with distress inks, spritz with water, wait a couple of seconds and use a paper towel to dab up the excess water. Ink the edges with black. 4. Stamp the sentiment and die cut. Ink around the image while still in the die. 5. Add ribbon where the two patterned papers meet. 6. 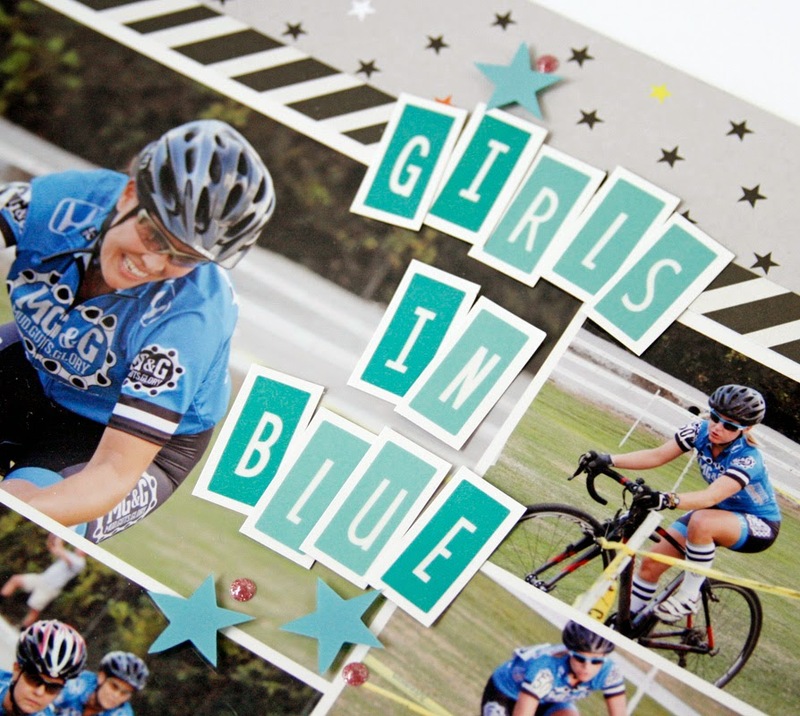 Use foam adhesives to add the stamped panels to the card. 7. Finish the card with pearls and flourish. Hey, there - Deborah here! 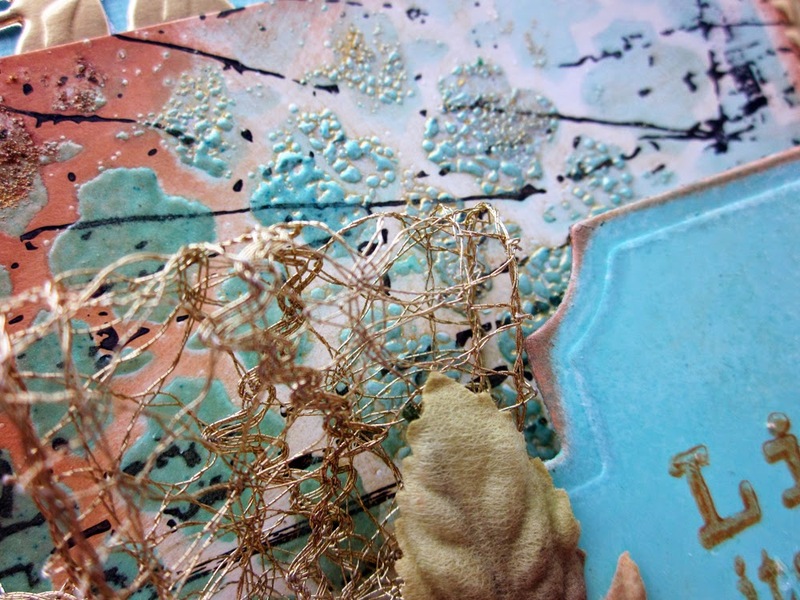 Glad you could join me again on the Hampton Art blog. Today I decided to go in a different direction (for me) because I wanted to use the Graphic 45 Parfumerie stamp set that Hampton Art distributes, and it’s very vintage looking. I love this set because it’s so versatile with three different little stamps to put in the center of your perfume bottle. Although I love the shabby chic/distressed style, I rarely employ it when making cards. So, in the immortal words of Monty Python…. 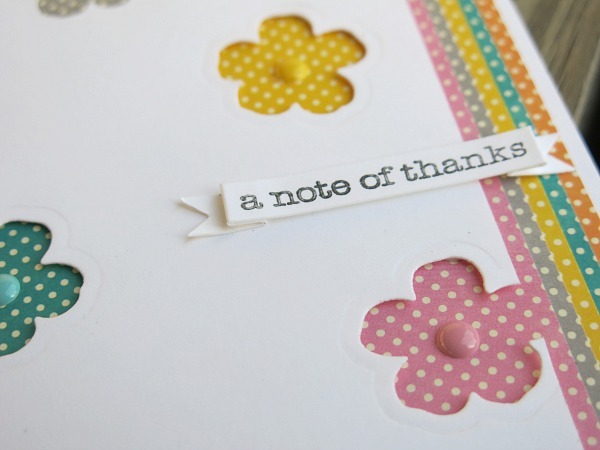 Cut matte from scrap of patterned paper and adhere to card front. Stamp perfume bottle image with embossing ink, apply EP, and heat set. Color bottle and background and create perfume spray with pencils. 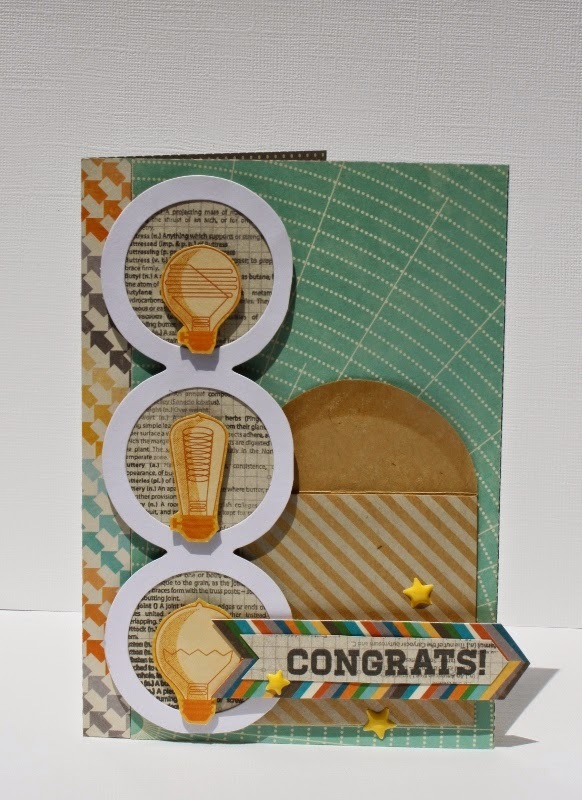 Stamp sentiment with embossing ink, apply EP, and heat set. Tear around edges of stamped panel, edge with sage ink, and adhere. Tie ribbon into bow and adhere with glue dot; attach gem to center. Lightly apply Stickles to perfume cloud and on “gem” in the bottle’s base. OPTIONAL: Create a Word doc for the inside of the card. 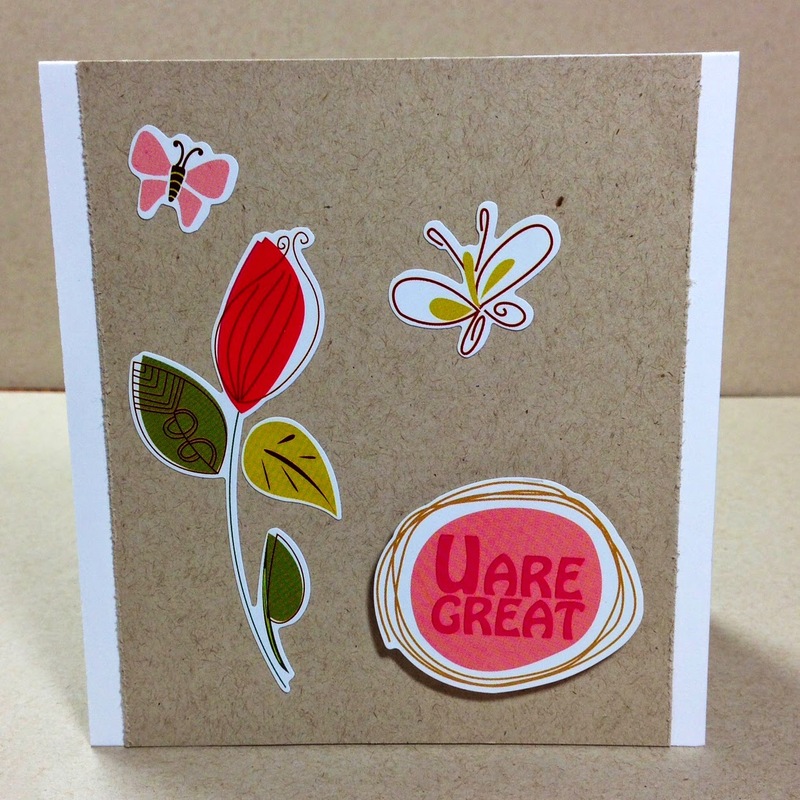 Type “Love is in the air.” Cut to fit and adhere to card interior. Wood Buttons -- Prima Marketing, Inc. Welcome back to the Hampton Art blog! I made three birthday cards using Jillibean Soup / Hampton Art Birthday Bisque papers. I also cut out some of the elements from the 3" x 4" journaling cards to make these folded birthday cards. Hi there! I’ve got a fun layout to share with you today using the “Playlist” line from KI Memories. First, though, let me go ahead and admit to being very lazy when it comes to printing out my pictures these days. And sometimes I just don’t feel like cropping and sizing my pictures either. L.A.Z.Y! When I get lazy like this what I end up doing is taking several pictures from an event and creating a collage with them. Then I have 1 large 8x10 collage of pictures to work with. Easy! So to make this layout, I framed the collage with strips of the black & white striped paper from the “Playlist” collection. 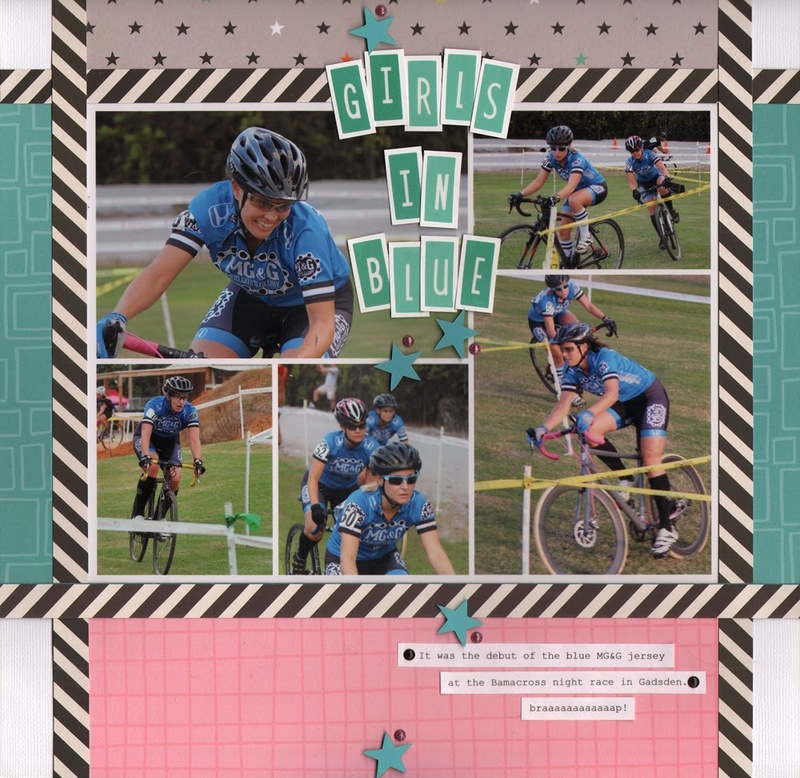 I added some different patterned papers around the edges of the page and then added the title right onto the collage. To make the title I adhered the vellum alphabet stickers from the “Playlist” line to white cardstock first and then cut them out with a white border around the edges. Lastly I adhered some of the star confetti with foam adhesive through the middle of the page and threw on some glitter dots for fun also. Thanks for looking! 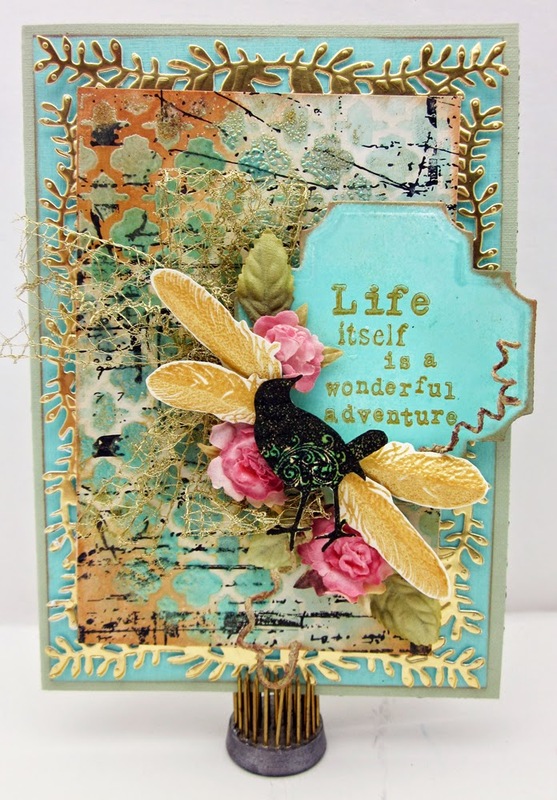 Stunning Butterfly card by NEW Design Team Member - Lori Williams! Hi Everyone…It’s Lori here with you today sharing a quick and easy card that is sure to brighten anyones day. The butterflies are applied on the card as if they are taking off in flight. This card was simple to make. I started off with some designer paper ( 4 x 5 ¼ “) and used the stencil from the stamp set to add some paste randomly to the front of my card. I then let it dry and then painted it with gold paint. Once the paint set I sanded a bit to even and blend everything out. Next I cut a piece of brown card stock 4 ¼ x 5 ½ “ and layered the embellish paper over the top. I love stitching my cards on the sewing machine. I think it gives it a great extra detail, so I stitched around this card. 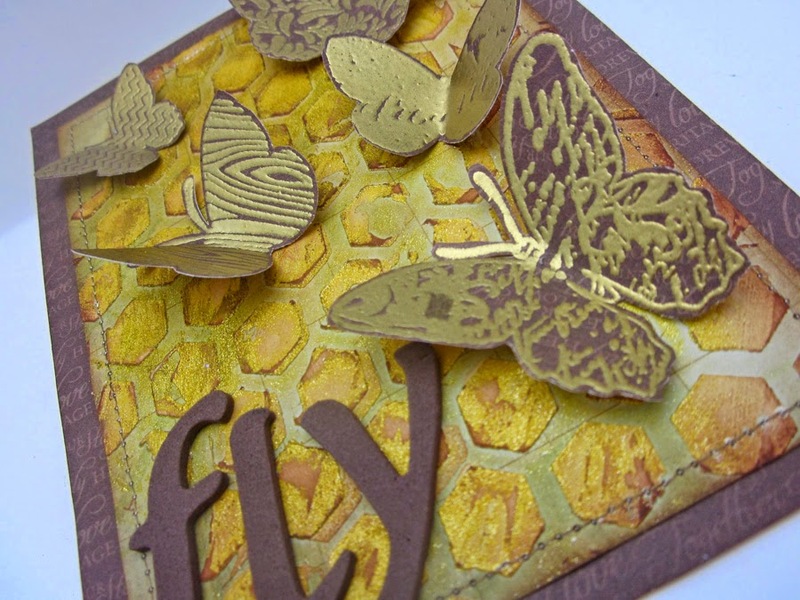 Next I stamped multiply butterflies on brown designer paper with Versa Mark Ink and then covered with gold embossing powder and heat set. Once I had done this for all the butterflies I fussy cut them out. I then attached them to the front of the card with glue as if they were taking off in flight being sure to pinch their wings up a bit for a three dimensional look. 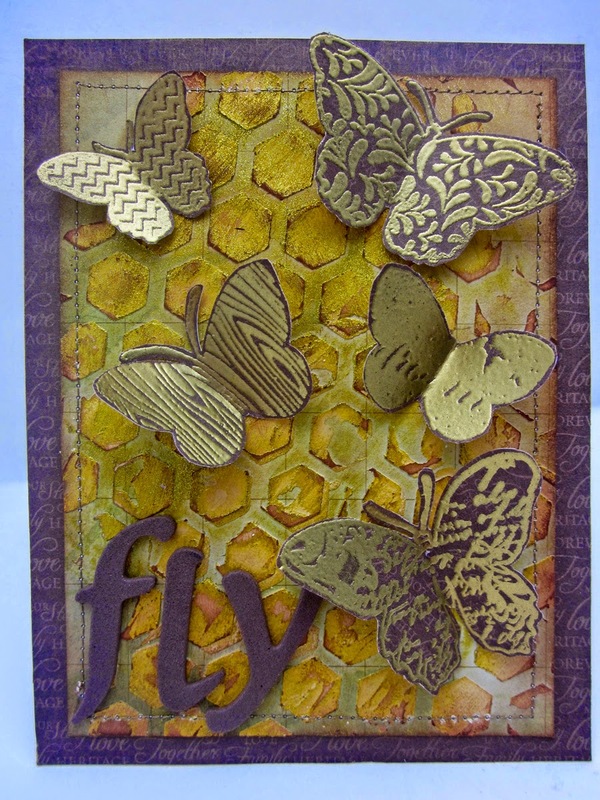 The card was finished off with the font letters spelling out FLY and then I glued everything down to a 4 ¼ x 5 ½ base card. I’m not sure who I’ll send this one out to, but I’m sure who ever it is, they’ll love it. I hope you’ll give one a try yourself and send out to a friend or loved one. Welcome newest Hampton Art Design Team Member - Deborah Nolan!!! Hi, it’s Deborah, and welcome back to the Hampton Art blog! I suppose my mind is filled with thoughts of travel because it’s that time of year and because we have a family reunion coming up. 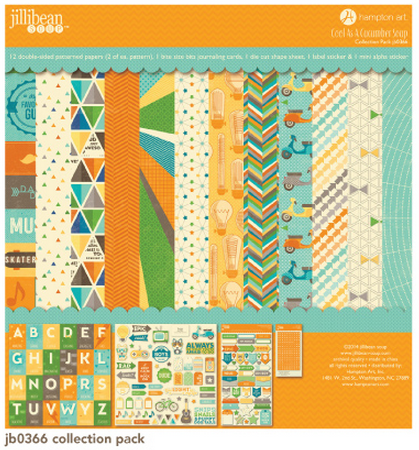 Or it could be that I’m pretty smitten with the Jillibean 12”x12” Sightseeing Stew patterned paper kit. Or both! Today’s card utilizes patterned paper and a sticker from the Sightseeing Stew patterned paper kit with coordinating stamps and gems. 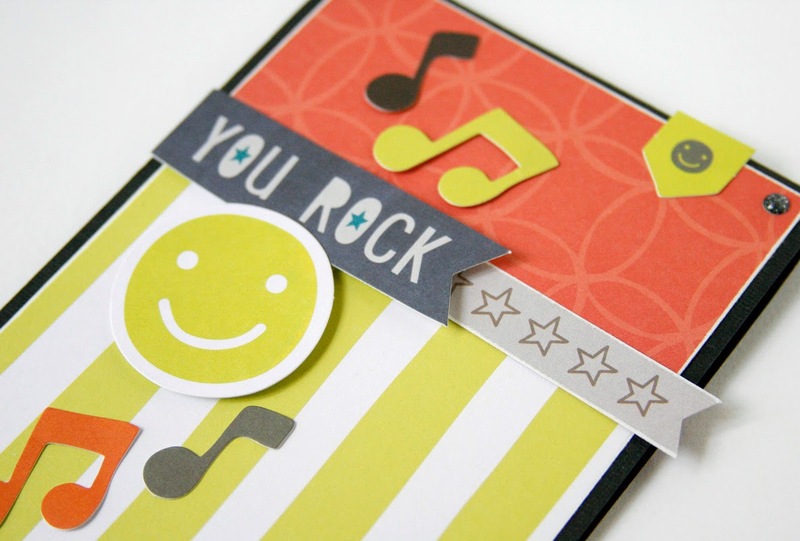 Cut 1” x 4.25” panel from striped patterned paper and adhere to card front. 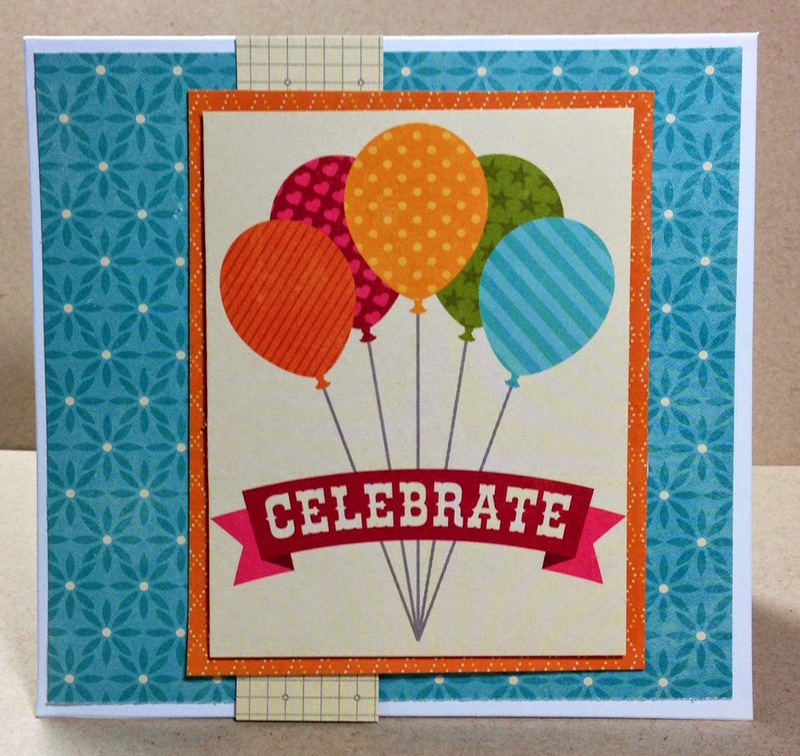 Cut 4.25” x 4.5” panel from atlas patterned paper and adhere to card front so it meets the striped patterned paper panel. Wrap the card cover three times with twine and tie into bow. Cut out the blank panel with olive icon from the journaling card patterned paper, stamp Adventure sentiment in olive ink, and adhere to card. Stamp heart circle in orange ink on white cardstock and cut out with a circle punch; adhere with dimensional tape. Stamp bird in turquoise ink, then stamp overlapping image with brown ink. I wanted to share with you all a great giveaway we have going on that we have partnered with Paper Crafter's Corner. The NEW Jillibean Soup Cool As A Cucumber Soup is about to ship and we wanted to give you an opportunity to win it! This line is perfect for the summer time, dads, teen boys and so much more. I love colors, die-cuts and stickers that all coordinate with this line. It's going to get used a lot in my house! How can you win this fabulous new line? 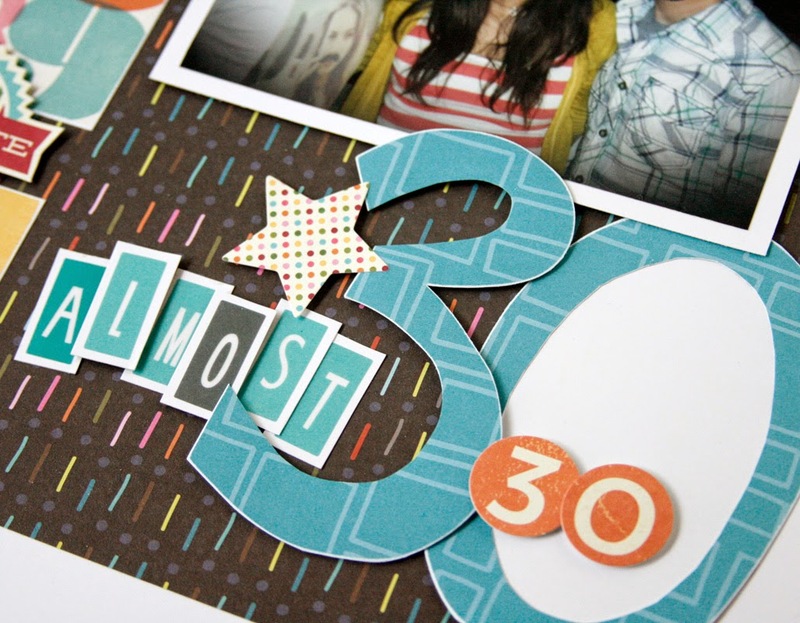 Check out this post on the Paper Crafter's Corner blog! 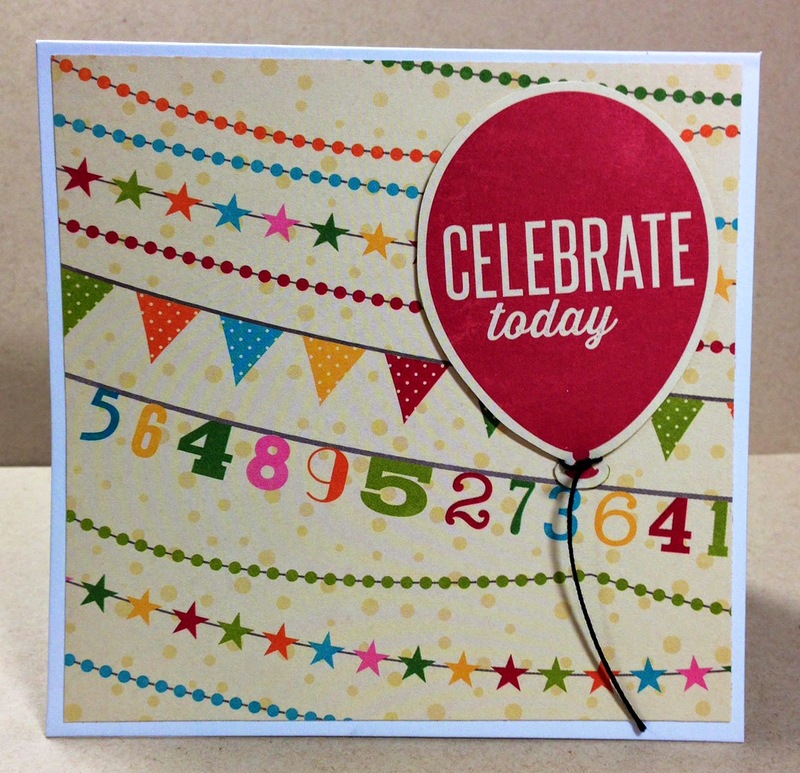 Hampton Art has added a new product - stamps sets with a coordinating stencil/mask. The really cool thing is that the stencil has a reusable sticky backing - so no matter what fun mixed media techniques you are using, your stencil is not going to shift. 1. 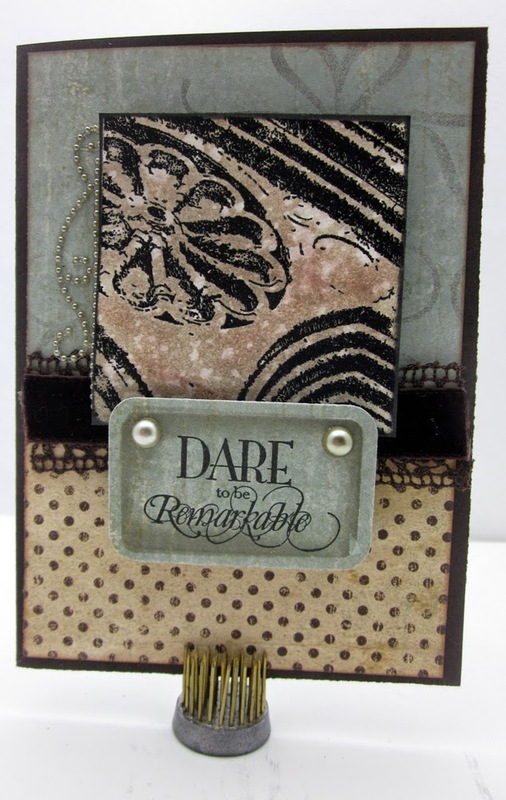 Stamp the Weathered Background with Black StazOn ink on white cardstock. 2. Lay the stencil over the stamped area and mist with color. Allow to dry. 3. With the stencil still in place, ink some areas with the watermark ink, and sprinkle with embossing powders. Heat set. 4. Spritz with the Opal Sea Oats mist. 5. Ink the edges with Gingerbread ink - bring some of the color onto the main design area as shown. 6. Die cut the Spellbinders Branching Out with the gold foil paper. Mount on a mat of Aqua Denim (4.75" x 6.75"). Place on a 5 x 7" card base (Spring Green). 7. 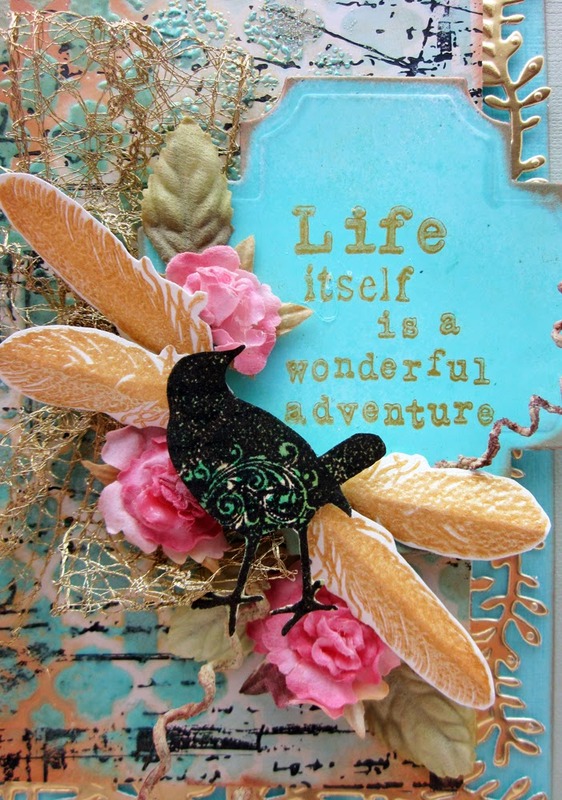 Stamp the sentiment with gold ink, and die cut with Lables 27. Attach to the card, offset, using foam adhesives. 8. Tie a bow with the metallic gold crochet ribbon and glue to the right of the label. 9. 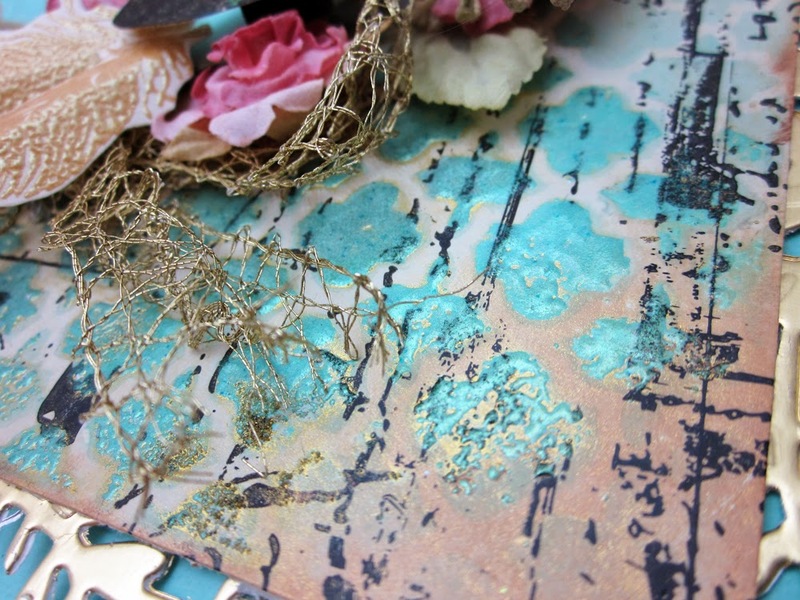 Stamp the feathers with the gold ink, sprinkle with the Starlight Gold Green embossing powder, heat set and fussy cut. 10. Stamp the bird, fussy cut and arrange this along with the feathers and flowers and leaves on the card as shown.